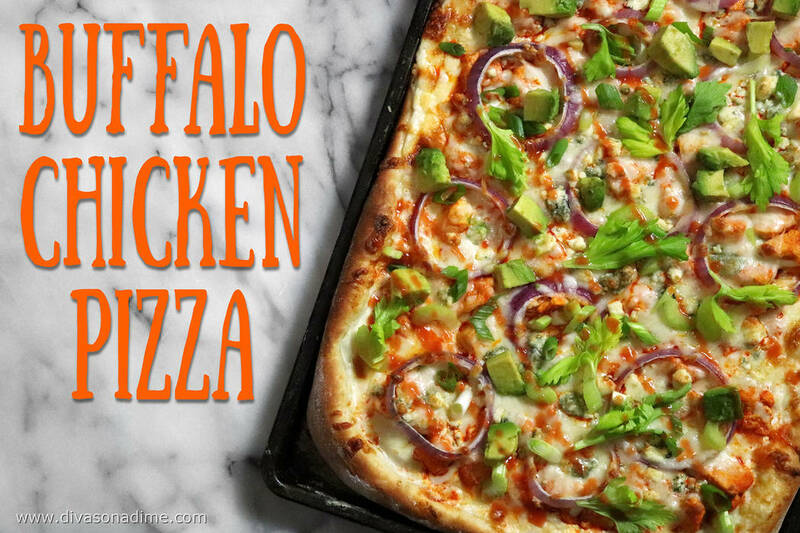 (Patti Diamond) Buffalo Chicken Pizza takes two popular football game watcher snacks and combines them into one dish. 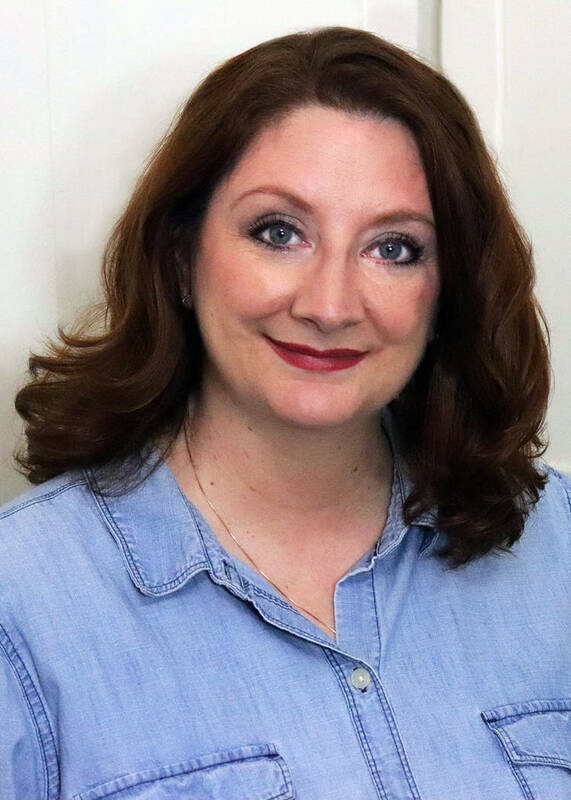 I’ll be sharing bulletproof recipes using inexpensive ingredients, money-saving strategies and holiday and party ideas all designed to make you look like a diva, and only you’ll know you did it on a dime. This week, in anticipation of Super Bowl Sunday, I couldn’t decide between buffalo chicken wings or pizza. They both sound delicious. So I decided to mash them together and make a buffalo chicken pizza. It’s got all the flavors and textures of buffalo chicken, but on a warm crusty pizza. The base is a rich and creamy ranch-infused white sauce topped with buffalo chicken that’s spicy and hot. And cheese, there’s lots of gooey mozzarella and piquant blue cheese. After the pizza bakes, we sprinkle it with green onion and diced celery for crunch, then diced avocado that’s creamy, refreshing and cool. It’s crazy good. I’m all about finding frugal substitution for expensive ingredients, so let me explain the cottage cheese in this recipe. Cottage cheese makes a great low-cost substitute for ricotta cheese. Once its pureed, it’s creamy and fluffy with texture very much like ricotta. I promise no one will suspect you’re sneaking cottage cheese into the pizza. By the way, this cottage-cheese-and-ranch mixture makes a wonderful dip for veggies and chips. Preheat oven to 425 degrees. Allow the pizza dough to come to room temperature. Melt butter and place in a medium bowl, add hot sauce and stir. Set about 2 tablespoons aside to drizzle over the pizza when it’s cooked. In a food processor, puree the cottage cheese with the ranch dressing and ½ cup mozzarella until smooth. Taste this. It’s so yummy. Stretch the pizza dough to fit a 10-by-15-by-1-inch cookie sheet. Brush the sheet pan with olive oil to help brown the bottom crust. Spread the cottage cheese mixture evenly over the dough leaving a 1-inch boarder. Top this with the chicken. Add the onion rounds artistically. Sprinkle with the rest of the mozzarella and dot the whole thing with blue cheese crumbles. Bake for 15 to 18 minutes or until the crust is golden brown. Let this cool for a few minutes then top it with the green onion, celery and avocado. Drizzle with reserved hot sauce and serve with all your diva glory. This recipe can be adjusted to suit your taste. Don’t like blue cheese? Skip it. Love hot sauce? Use more. You can try this recipe even if you’re not watching the big game or only watching the commercials and halftime and feeding the masses, like me. But if you’re watching the game, I hope your team wins. See you next week.